Matt LeBlanc is an American actor, television host, comedian and producer. He is best known for his Joey Tribbiani role on the hit NBC dramedy series, “Friends”. The role brought him the record-breaking paycheck of $1 million per episode for the penultimate and final seasons. Matthew Steven LeBlanc was born on July 25, 1967, in Newton, Massachusetts where he attended the Newton North High School. He was classmates with popular comedian Louis CK. They both graduated in 1985. Right after high school graduation, Matt dived into show business, starting as a model. He appeared in a commercial for Heinz Tomato Ketchup in 1987. His first major TV gig came in 1988 in “TV 101” for which he appeared for 13 seasons. During this time, Matt began appearing in music videos, notably in Jon Bon Jovi’s Young Guns II. In 2004, there were rumours that surfaced regarding the sexuality of Leblanc. He was very fast to come out and state contrary to the rumours, that he is neither gay nor bisexual. The rumour had it that the actor hired gay hustlers. Damian Plumleigh who claimed to be the actor’s former chauffeur said the actor got the services of gay men in the back of his limousine. Leblanc, on the other hand, said the whole thing was false and, that Plumleigh only drove him twice. Even before this claim, the actor had been married to Melissa McKnight since 2003. They gave birth to their only daughter, Marina Pearl LeBlanc on 8 February 2004. The two got a divorce as a result of irreconcilable differences in October 2006 having separated in January of the same year. After the divorce, Leblanc moved on to date Andrea Anders who soon became part of his family. The two remained together until January 2015 when they parted ways. 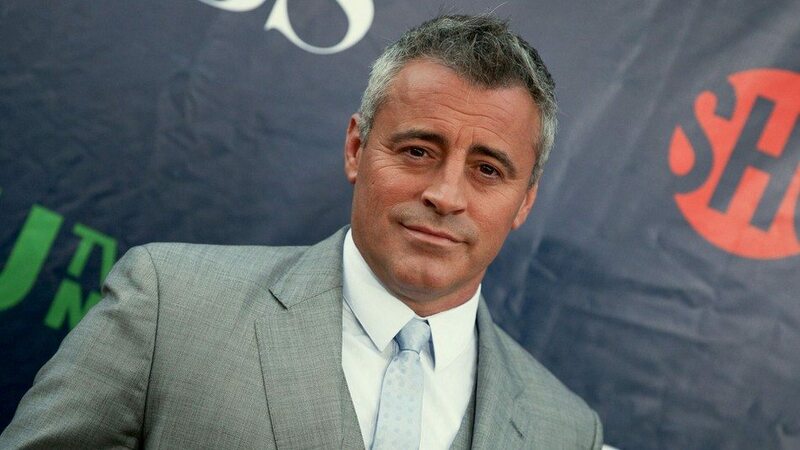 Matt LeBlanc has done well to follow the success of “Friends” with gigs like “Episodes” and “Man with a Plan”. He replaced Jeremy Clarkson as host of BBC’s motoring TV series, “Top Gear”. The hosting role earns him an estimated £1 million per year. JustRichest estimates his net worth at $70 million. When Matt LeBlanc landed the role of Joey Tribbiani on NBC’s Friends, he had no idea he’d earn $1.3 million for the season finale. That paycheck raised many eyebrows, stirred many talks and of course set the record of the highest paycheck ever received by TV actors. The feat was achieved as a result of unity among the cast members who banded together to jointly negotiate their salary, agreeing that each one receives an equal pay. It was the first time co-actors did such. It took 12 years to match that feat in 2014 when co-stars of “The Big Bang Theory” did a Friends, netting each main cast $1 million per episode. Matt LeBlanc’s Friends role which ultimately became his Hollywood breakthrough came in 1994 after about 7 years of low to moderate success in the show business. LeBlanc reportedly had just $11 when he auditioned for the role. For the debut season, he received over $22,500 per episode. If you do the math, Matt earned over half a million dollars for the 24 episodes of season 1. How quickly things can change. By the third season in 1996, LeBlanc was receiving $75,000 per episode. It increased to $85,000 and soon $125,000 for season 6, $750,000 for season 7 before the record deal was reached in 2002. According to Mirror, Matt LeBlanc earned $100 million from the 10 seasons and 236 episodes of Friends. It didn’t end there. After the show ended, Mat LeBlanc joined his co-stars to strike a deal entitling them to 2% of the annual revenue from the syndication of Friends. On the average, Friends generates about $1 billion in revenue for Warner Bros which brings LeBlanc $20 million annually, just for doing nothing! How about that? With such whopping paydays, Matt LeBlanc could’ve chosen to retire but he didn’t, much to the joy of loyal fans. LeBlanc’s next endeavour was a Friends’ spin-off, “Joey” titled after his Friends’ character. However, it didn’t excite viewers the way Friends did and as a result, it was cancelled two seasons later. But don’t feel bad for LeBlanc who per IMBD made $15 million from the short-lived show. Overwhelmed by the fame that Friends brought, LeBlanc decided to go on a 2-year hiatus which turned into 5 years. Maybe he needed more time to indulge his millions. Who wouldn’t? When LeBlanc did return in 2011, he proved he still got his mojo as he quickly brought unmatched entertainment to the small screen with Showtime/BBC’s comedy series “Episodes”. In the show’s second season, LeBlanc received a Golden Globe Award for Best Actor for his lead role. The show ran for 5 seasons ending in 2017. His next major show, “Man with a Plan” premiered on CBS in October 2016. In addition to these successful TV shows, LeBlanc has had a handful of feature film appearances most notably, “Charlie’s Angels” (2000) and its 2003 sequel. Being a car racing enthusiast, LeBlanc’s frequent appearances on BBC’s motoring show, Top Gear saw him become the show’s main presenter in 2016 after Jeremy Clarkson was ousted. His Top Gear deal with BBC was said to be worth £2 million for two years, putting his annual salary for the show at £1 million. Matt LeBlanc has earned the right to live in some of the most opulent homes. He bought a 4-bedroom house in San Fernando Valley, CA in 1999 for almost $3.5 million. In 2005, he bought a 6-bedroom, 11,158-square-foot Hidden Hills mansion for $9 million. He sold it in 2008 for about $140,000 profit. Also in 2005, Leblanc reportedly bought two other properties in Hidden Hills. Right after his divorce from Melissa McKnight in October 2006, Matt in November 2006 bought a 4-bedroom, 3930-square-foot Pacific Palisades mansion for $7.4 million. Per the divorce settlement, Matt was to pay his ex-wife $20,000 every month for the support of their daughter until she reaches 18 years old. After landing the Top Gear job, Matt in 2016 listed his aforementioned Pacific Palisades house for $8.75 million.